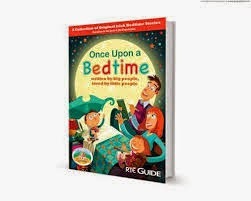 Earlier in the year, RTE Guide invited their readers to submit children's stories for a Poolbeg Publication in partnership with the Jack & Jill Foundation. All royalties would go to the charity and the competition was open to anyone who wanted to share their stories. Now, in December, we have this fantastic collection, an ideal time of year, as kids all over the country would be delighted to get this for Christmas. The collection is made up of twenty stories, written by authors of all ages and varying backgrounds. There are a few teachers stories in here, which is a good sign. They are the one who have chosen their career in the confines of a classroom, with eager young faces looking up at them all day, and they know what kids love to read. There are also mothers, fathers and grandparents galore. Who better than the ones who read to youngsters on a regular basis? I handed the book over to the two young resident reviewers in Bleach House and they insisted on reading them out loud each evening. This may explain the delay in reviewing the title! Declan the fire-breathing Dragon and A silly story were lovely stories, suitable for the younger toddler age group. Lonely at the Top went down very well with the two readers as was a Christmas themed tale. Larry the Ladybird had a lovely moral within the story, that it's ok to be different. Always a good thing to teach kids. Lester the Lazy Elf made the girls giggle. The Little Magic Turtle was everyone's favourite. I think the illustrations played a big part in this. The Sun, the Moon and the Nightingale lead to further discussions about the planet and how nature works. The girls also both enjoyed reading the poems out loud. It can be hard to get the juices flowing for poetry as they grow up, so it was great to see them enthusiastic about these rhymes. All in all, a lovely book. A great cause and wonderful to see new writers getting their voices heard. Lovely length stories for bedtime or even just when you have a spare five minutes to sit with your child during the day. The reviewers in this house preferred the older style illustrations and kept asking for these stories to be read again and again.